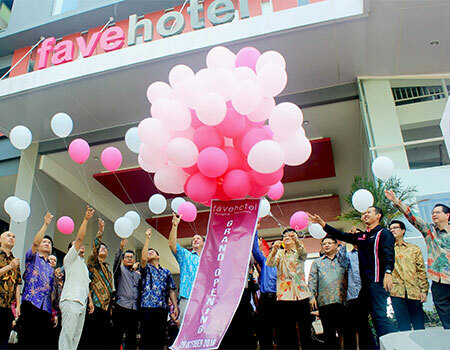 Surabaya, October 29th 2016 - As the latest property to join the favehotel portfolio, Archipelago International today announced the grand opening of favehotel Rungkut in Surabaya, East Java, situated off Surabaya Rungkut Industrial Estate (SIER). 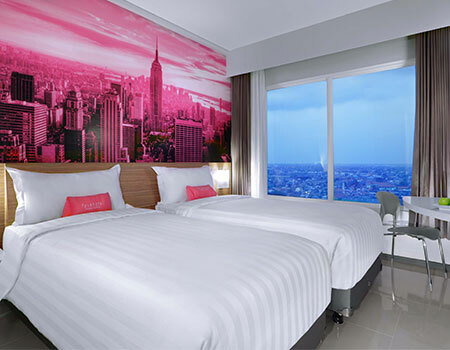 The new favehotel lends itself as a convenient base for business travelers and tourists alike, located just 15 minutes from Juanda International Airport. The 173 guest rooms feature modern and functional offerings, such as cutting-edge LED televisions, complimentary Wi-Fi, laundry services, a swimming pool, in room safes, and comfortable bedding. The en-suite bathrooms come equipped with a shower and modern bath amenities. To meet the needs of business travelers, the hotel also presents ten modern meeting rooms, an all-day coffee shop serving a wide variety of international and local cuisine, spacious parking spaces, and a refreshing, open and contemporary lobby concept with colorful, bright and welcoming spaces where guests can check e-mails, gather informally with colleagues or simply relax. favehotel Rungkut’s choice location near government offices and local businesses makes it an ideal stop for business travelers, whist its close proximity to the city center and a number of local tourist attractions, such as Surabaya Zoo, Taman Bungkul, House of Sampoerna, Galaxy Mall, and Suramadu Bridge, is equally well-suited for leisure travelers.